These Anglo Saxon rune stones, also known as ruthorc, were used from the 5th century until around the 10th. Unlike our other rune stones, this set was used largely for manuscripts and engravings instead of divination. 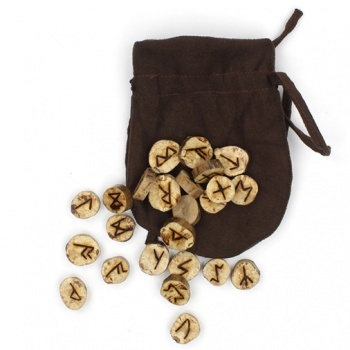 Each rune has been carefully hand carved into a segment of varnished wood and comes presented in a faux suede pouch.